Every fortnight we’ll be posting a collection of news items, events, and other interesting tidbits related to books, and especially the Australian book industry. This first issue is bursting at the seams because it includes stuff from last year that I’ve been meaning to post. After this issue, we’ll be aiming to post current news and events as we hear about them. Click here for a list of Book Bizzo posts. 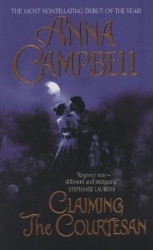 Tempt the Devil by Anna Campbell was released last week, and there’s an interview of Campbell at Down Under Desirabelles. I WANT this book! 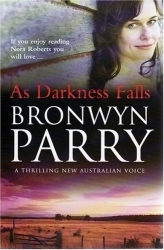 Bronwyn Parry’s second book–I assume it’s the loosely connected sequel to As Darkness Falls–will be out in September. A mass market paperback version of As Darkness Falls will be available in April. As Darkness Falls will be published in the UK in September and in Germany sometime this year. Borders, Chadstone will be the official bookseller for the Australian Romance Readers Convention. I admit, I’m disappointed that the committee didn’t choose an independent bookstore, but maybe the decision was based on the numbers. Speaking of the convention, January 15 is the deadline for regular registration. After that, late registration fees apply. The organisers are looking for volunteers, so if you’re interested, let them know. Alexander McCall Smith, author of the No. 1 Ladies’ Detective Agency series, will be launching the 10th book in the series in Australia next month. His A/NZ itinerary is here. Friends of US author Sharon Cullars are running a fundraising effort to help Cullars retain her home in the face of the economic downturn (via Karen Knows Best). They’re hoping to raise US$10,000 as soon as possible. Random House expects chick-lit sales to buck the trend and increase in 2009 because readers like humour, happy endings, escapism and shorter length books. Apparently, we now have chook-lit (previously hen-lit, if I recall), mum-lit, big girls lit and Koori chick-lit. Who knew? New media expert Clay Shirky predicts that print on demand will revolutionise books: “Why does a bookstore or a publisher have to be in the shipping and warehousing business?” (via The Book is Dead blog) Dear Author agrees, and Jane goes through a bunch of other interesting links and issues in her post. In December, the Digital Publishing Forum was launched in New Zealand (via stuff.co.nz). The Digital Publishing Forum aims to help publishers and authors understand new business models and publishing channels made possible by digital media. The first set of workshops is scheduled for March this year. The holy grail of ebook readers might be some kind of Apple hardware–we wish!–but if the App Store rejects books using the f-word as a verb (via the LA Times Technology blog), that’s going to rule out a huge number of romance books. In the UK, Harlequin Mills & Boon has made a deal with the Rugby Football Union to publish a series of books featuring rugby players–similar to Nascar books in the US–as part of its Modern/Presents line. The first book comes out in February, in time for the Six Nations. The RFU has a list of titles in this article called No Knickers at Tickers? Hilarious! 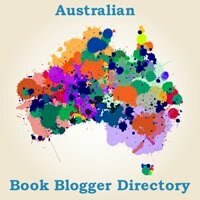 The first book, The Prince’s Waitress Wife by Sarah Morgan, is scheduled for release in Australia in March, although you can buy it one month sooner through eHarlequin.com.au. What a prince and a waitress have to do with rugby, I have no idea. In India, Harlequin Mills & Boon has apparently been actively seeking writers as it seeks to expand its presence in the India and surrounding countries. A list of book-related competitions and discounts can be found in the sidebar (just under the big square ad). A study by pyschologists at Heriot Watt University concludes that watching romantic comedies can ruin your love life because they can give you unrealistic expectations about love. Their method sounds bodgy to me, but they’re conducting further research, so I assume someone out there thinks it’s worth funding. Check out the TIME review of J. K. Rowling’s The Tales of Beedle the Bard (via Nerd World). I take exception to Rowling’s stated theme, expounded in the introduction to Beedle, which is that “magic causes as much trouble as it cures.” I’m just not convinced that if I could accio beer my life would not be significantly easier. Did we miss anything important? Got a book event coming up? 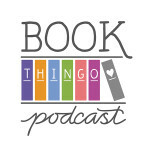 Free to send tips, press releases, and any other interesting links to kat@bookthingo.com.au. Tagged alexander mccall smith, anna campbell, australian romance readers convention, book bizzo, bronwyn parry, chick-lit, digital publishing forum, harlequin mills and boon, hmb presents, nalini singh, random house, sharon cullars, stephenie meyer, twilight.